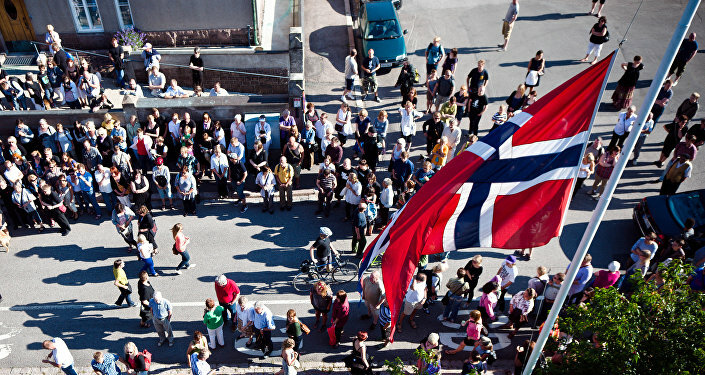 Despite the bitter winds of misguided hostility freezing the partnership between Oslo and Moscow in many areas, in northern Norway, the sense of neighborhood stands strong. The inhabitants of Finnmark, Norway's northernmost county bordering on Russia's Murmansk Region, laugh at Oslo's fear of Russians. While Norway's official media narrative has been dominated by fear-invoking images of the big Russian bear in the East, especially after Crimea's re-unification with Russia, which has been habitually portrayed as an "annexation" in the West, for northern Norway, Russia remains a trustworthy partner. Sør-Varanger Municipality Mayor Rune Rafaelsen believes that the authorities in Oslo have always shown little understanding of what's actually happening in Finnmark, which is situated in direct proximity to Russia. "[The town of] Kirkenes has been multi-ethnic for hundreds of years, but there's never been any unfriendliness across the border. It's natural when Per and Kari cooperate with Olga and Vladimir," Rune Rafaelsen told the Norwegian daily Verdens Gang. "We are the only ones in Europe to have border certificates. Today, we see Russian employees at most shops, Russian cars outside shopping centers and even Russian street signs. Kirkenes is almost a Russian city in Norway," Rafaelsen continued. — Visit Kirkenes (@visitkirkenes) 12 ноября 2016 г. ​According to Rafaelsen, the Barents Cooperation, which involves a partnership between the Arctic regions of the Nordic countries and Russia, is Norway's "most important foreign policy initiative next to NATO." Incidentally, the Barents Cooperation was established by the Kirkenes declaration in 1993. Unsurprisingly, Rafaelsen finds the idea of a "Russian invasion" laughable. "I can only laugh. There is no danger that Russia will take over Finnmark. All they want is stability," Rune Rafaelsen said. Retired wrestler and coach Willy Bangsund, who maintains close cooperation with Russian colleagues, concurs with Rafaelsen's take. "I'm laughing at Oslo's fear of Russia. This is something the media and the politicians have concocted. Up here, we live in another world," Willy Bangsund said. 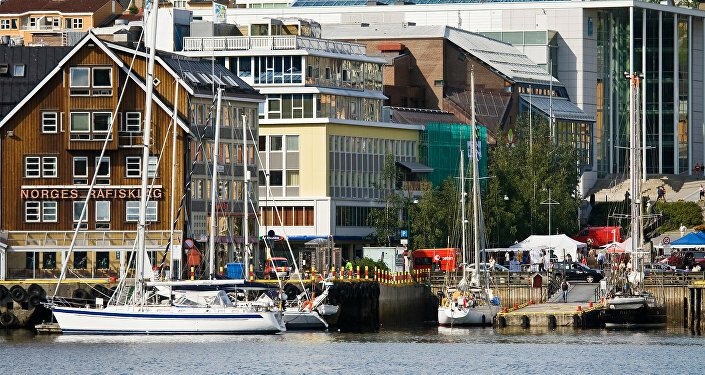 On the personal level, interaction between Russians and Norwegians remains as high as ever, boosted by a 2010 agreement that residents in the border area enjoy travel across the border without a visa, an opportunity largely utilized by both inhabitants of Sør-Varanger and Murmansk Region. "We often go to Murmansk. We want to find out why they are at the top of the world," Elin Gåsland of Sør-Varanger Karate Club said. According to local entrepreneur Frode Stålsett, who has vast business experience in both Norway and Russia, sport and culture are the best ways to know each other. "Jobs are just transactions, but karate has given me friends for life. The Russians are extremely nice and cordial. Besides, the only answer to any disagreement is more contact," Frode Stålsett suggested. "After 2014, a kind of Russophobia emerged in the West, but not here in Kirkenes," Russian-born artist Luba Kuzovnikova, the artistic director of the Kirkenes-based art collective Pikene på Broen ("Girls on the Bridge") said. "It's important to keep in mind that there are over 140 million people in Russia," she added. Nevertheless, Norway's official stance has been encapsulated by researcher Jakub Godzimirski from the Norwegian Institute of International Affairs, who argued that Norway must prepare for the worst in its relations with its eastern neighbor. "Norway must hope for the best and prepare for the worst. It can be a good relationship and a regional community in the north, but the most important decisions are made in Oslo and Moscow. From Oslo, you see a neighbor with superior military capabilities, as well as the ability and willingness to use them to achieve political goals. From Moscow, you can see a NATO member that can threaten important military bases," Jakub Godzimirski said.